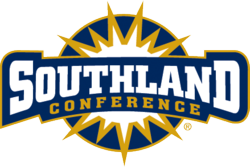 “With the XOS HD Replay system, our officials are now poised to capture all the angles they need to make the right calls,” said Tom Burnett, commissioner, Southland Conference. XOS Digital, Inc., the leading provider of content management solutions and digital media services for collegiate and professional sports organizations, today announced that the Southland Conference has added the XOS HD Replay™ product line for its men’s and women’s basketball game-day operations. The announcement was made today by Chris McCleary, CEO, XOS Digital. XOS HD Replay uses technology similar to the company’s football replay system, which was used by the SEC, Big 12, WAC and Conference USA during the 2011 college football season. The XOS HD Replay system for football was also used in 18 bowl games and two Bowl Championship Series (BCS) games last season. XOS HD Replay for basketball differs in that it is software based and has a smaller footprint. It was designed for use on limited courtside space. The system also enables shot-clock synchronization through an exclusive method that includes inserting the shot-clock feed into each video capture feed. Southland schools will also implement XOS Review, a web-based software for managing, grading and training officials. XOS Review incorporates stats and associated video to do so. The software works in conjunction with XOS Replay, which automatically exports reviewed plays, associated calls, and officials’ information. Officiating administrators can generate reports based on a particular game, team, official, foul or call, and review video associated with each play to evaluate officials’ performances. Upcoming schedules and training material can also be posted to the site for access by the officials. Digital Licensing Portal™, and the XOS Digital Sports Network™ digital media distribution technology provide the most advanced, comprehensive digital asset management solution available in the world. For more information, visit http://www.xosdigital.com.